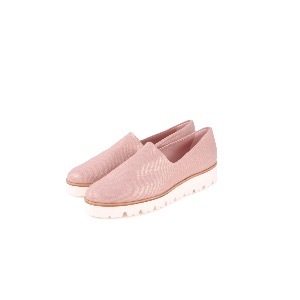 This is a very pretty rose gold flatform shoe. This style by Pretty Ballerinas has been a staple for us over the past few seasons in various different colours due to the excellent fit and comfort. The fabric stretch upper is robust buy dressy, the light sole is on-trend without being dominant and the insole and lining is leather for perfect comfort. We have included this style in our collection for many seasons and find it true to size. We have half sizes to offer you the very best fit.